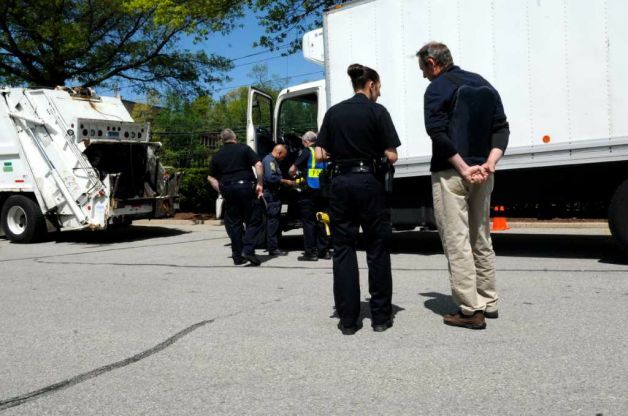 NORWALK, CT – Connecticut state police and the Norwalk police are cracking down on state truck drivers and the trucking industry. The state of Connecticut is already known for tougher standards and regulations. Wednesday was no different as police continued to make sure trucks were in compliance with state laws and regulations. Sgt. Thomas Fern, a supervisor for the Community Policing Unit, said the effort was a response to multiple complaints about truck traffic in local Rowayton, Connecticut. The selective vehicle enforcement was set up in two different locations for the operation, Wilson and Rowayton avenues in Rowayton and Martin Luther King Drive and Knapp Street in South Norwalk. During the effort, officers flagged down trucks and led them into a lot, checking for weight, license class and safety violations. Trucks were weighed on a series of portable scales. Officers targeted everything from dump trucks to 18-wheelers to landscaping trucks. Two trucks had to be towed from the scene of the Rowayton compliance after their drivers were discovered to be driving without their license class. 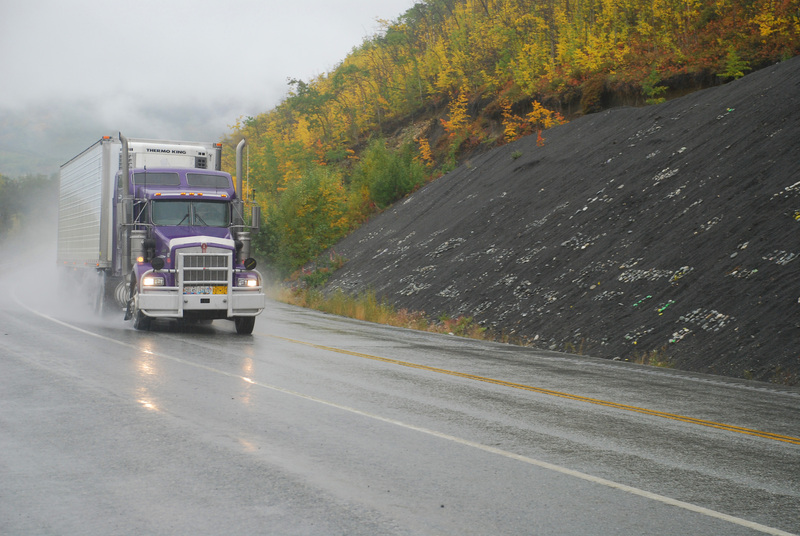 Fern said the truck companies were given time to send licensed drivers but after an hour, neither company had sent a driver with a valid commercial driver’s license. We could also likely see more law enforcement on the roads since the recent Ottawa shooting that took place two days ago. While heavy duty trucks are not a usual target, we need to expect the unexpected. Driver and public safety on the road is always a priority. As for the check points in Norwalk, many local residents had been complaining about the trucks and the law chose to set up to check trucks driving in the local area. Fern also stated that speeding was not an issue. The true issues that came to light was the fact that drivers were operating heavy duty trucks without a valid CDL. Previous articleBig Rig Talk – Ottawa Canada Terrorist Attack? Pay Per Mile The Real Reason For The Driver Shortage?